This article is sponsored by L+G, LLP Attorneys at Law and was written by Aaron Johnson. L+G, LLP Attorneys at Law is a full service agriculture and business law firm with experience deeply rooted in the cannabis industry representing cultivators, manufacturers, dispensaries, nurseries, and transporters of cannabis in California. As sunset fell on the drought-stricken, smoke-filled state of California on the auspicious date of 9/11/15, its legislature was busy amending and tweaking three bills that could provide the state with the framework for regulating medical cannabis. In what the legislature hailed as “the three legs of the stool,” Assembly Bill 243, Assembly Bill 266, and Senate Bill 643 were passed just short of midnight, sending cannabis businesses and representatives scurrying for the latest text. While the ramifications of the law change will continue to play out in the coming years, what is certain is that California businesses have to quickly work out what the changes mean to them, and what new licenses they need to seek. What is also clear is that local government will retain control of land use decisions (and the right to say “no”). Whether you are looking to cultivate, manufacture, or dispense, you will need to check with your local rules and first obtain a local permit before asking for a state license. The bills, if signed by Governor Jerry Brown by October 11, 2015, will create a new agency under the Department of Consumer Affairs called the Bureau of Marijuana Regulation (affectionately referred to as “ BuMMR”). BuMMR will be led by a “chief,” and will interact with several other state agencies, like the Department of Food and Agriculture, State Water Resources Control Board, and others. Their mandate? To regulate and manage the growing, testing, and environmental impacts of the cannabis industry. While the impact of the changes will be far-reaching, what we know already is that it will impact every part of the cannabis production chain. Here are the most immediate (and most relevant) impacts for all parts of the industry. Cultivators will be required to send all cannabis through a distributor for quality assurance and inspection. The distributor must then send all cannabis through a testing licensee for batch testing (random sampling) before any of the cannabis in that batch can be delivered to a dispensary. Each and every plant in the system must have a “unique identifier,” a zip tie at the base of each plant with a state ID number, that is used to track the plant and its products through all channels until it is eventually sold to the consumer. It may sound cumbersome, but the technology has already been developed and is currently available. In the event of contamination or other problems, this system would identify the origin and potentially isolate any problems quickly. There are three sizes of regulated flower cultivation for the indoor, outdoor, and mixed-light types of grows (nurseries do not have a size limit). A specialty size allows for a grow of up to 5,000 square feet of canopy cover; a small size allows from 5,001 to 10,000 square feet of canopy cover; and a medium size allows from 10,001 to 22,000 square feet of canopy cover, or up to one acre in the case of a medium outdoor grow. No cultivation may occur within 600 feet of a school (measured from the cultivating property’s line closest to the school, as the crow flies). As one considers what type of license to obtain, it will be important to consider that your choice of license will offer up other licensing opportunities and restrictions. For example, a Type 3 Medium Outdoor is not authorized to hold a Type 6 or Type 7 Manufacturing license without first owning a Type 10A dispensary license. However, a Type 2 Small Outdoor may also obtain the manufacturing license. Manufacturing may be allowed through two different types of licenses to engage in the concentration and extraction process. One type is for operators who manufacture and produce medical cannabis products using non-volatile solvents (known as Type 1 Manufacturing). The other is for operators who use volatile solvents, such as butane, hexane, or ethanol (Type 2 Manufacturing). Volatile solvents (or Type 2) licensees will be restricted in number and will undoubtedly require very high standards for using this technology. The effect will bring the extraction community into a safer, more highly-regulated environment to continue to meet a high demand. The legislature has also addressed the packaging of manufactured cannabis to avoid being appealing to children and to provide the consumer with a number of required disclosures. Similar to cultivators, the manufacturing licensee may not send product directly to a dispensary, but instead will have to send all cannabis through a distributor and testing licensee, who will test for concentration, purity of product, and contaminants. 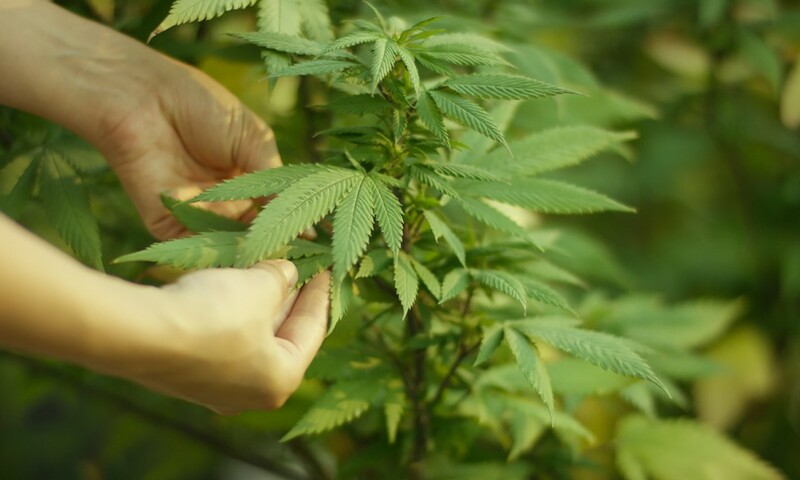 A manufacturing licensee may obtain a specialty or small cultivation license, and in the case of obtaining a Type 10A Dispensary license, may also obtain a medium cultivation or nursery license. Traditionally, growers transported cannabis to a dispensary, where it was then tested (often through a third party) before being dispensed to patients. Now, a third party is required to transport cannabis from the farm to the distributor and then from the distributor to the dispensary. In fact, a transporter’s license is required to transport cannabis from any one licensee to another, regardless of type. Transporters will be prohibited from having a cultivator, manufacturer, or any other license by the state, except for a distributor license, which a transporter may hold. This type of license is intended to coordinate the distribution of cannabis in a tracked and orderly fashion. It is designed to help assure the delivery of safe cannabis for patients by forcing all cannabis through a third party distributor and testing licensee. All cultivation and manufacturing licensees must send all harvested and manufactured cannabis to a distributor for quality assurance and inspection. The distributor will be required to make sure the cannabis receives a “batch test” analysis and certification before sending it to a dispensary. Even if a dispensary has a cultivation license as part of its operation at the same location, it must send all cannabis off-site to a third-party distributor for testing before it is dispensed. Although a cultivator and dispensary may have contracted to buy cannabis at a certain price and quantity, the distributor remains obligated to carry out the terms of that agreement and is authorized to charge a commission or fee for doing so. As opposed to a transporter who may obtain a distributor license, a distributor must obtain a transporter license. A testing licensee tests all cannabis before it is delivered to a dispensary. He or she may not have any other licensee or ownership interest in a facility that requires any of the other licenses. Each testing lab will have to adopt standard operating procedures using methods that are accepted in the industry. However, to date, standards in the industry vary, or don’t exist. So, we can expect the regulations that follow this portion of the law to be the first attempt in California to establish consistent testing methods, or at least try to. All cannabis transported from a farm to a distributor, testing, or dispensary licensee must be shipped in “tamper-evident” packaging and contain detailed labeling. Dispensaries will operate much the same way as they do today from the patient’s perspective. However, on the business side, things will change. Dispensaries will be prevented from purchasing or accepting product from an unlicensed grower, and all product within the dispensary will be tracked and traced from the moment it enters the dispensary to the point of sale. Type 10A dispensary licenses will be a prime target for applicants. A Type 10A licensee, in what is known as the 3-1-4 Rule, may hold a total of three dispensary licenses, one manufacturing license, and any number of cultivation licenses so long as the canopy coverage does not exceed a total of four acres. This will be the extent that cannabis business is vertically integrated. Presumably, a Type 10 dispensary (not 10A) will be limited to only that site. There are no rules allowing for a Type 10 dispensary to obtain any other license, so those companies applying for this will be subject to the market for supply and will most likely be a good license for mobile dispensaries (operating out of a single physical business property). A Type 10A dispensary licensee may apply for other licenses in an effort to be vertically integrated, which is required in some cities. And even though a dispensary may obtain a cultivator and/or manufacturing license, it must first transport all cannabis through a distributor and testing licensee before it re-enters the dispensary (if the grow is located in the same place) for sale. In most parts of the country the possibility of a taco truck dispensing medical cannabis has been very slim. The new laws eliminate the concept of a home-based mobile dispensary and require a business location from which to dispense. However, it explicitly allows for delivery from a dispensary. This likely means one of two things: mobile dispensaries will partner with brick and mortar, or they will open small delivery-only licenses, perhaps the reason for the Type 10 dispensary-only license. A mobile dispensary licensee who partners up with a brick and mortar licensee will bring a list of patients/consumers for the brick and mortar, but he or she will perform all deliveries for the dispensary. This is positive for the typical brick and mortar owner who is not interested in taking the time or effort to focus on deliveries, and it brings in new or proven consumers. Alternatively, a mobile dispensary may operate and deliver out of a secured, physical location, but will not dispense publicly from that location like a store front. It will operate as a smaller, private clearing house that must follow all of the same rules regarding sending cannabis through a distributor and testing licensee before transporting it to its patients. The mobile dispensary does not need a transporter license in order to deliver from the dispensary. Patients will have to get a state ID and will not be able to collectively grow for themselves. A patient may grow on his or her own 100 sq. ft. plot, but that cannabis may not enter the stream of commerce, nor will it receive a unique identifier tag from the state that would allow that product to enter the legal system. Patients cannot sell to a distributor or dispensary. There are changes to the responsibilities of doctors administering recommendations to patients for cannabis. The doctor may not participate in any other licensed cannabis business. In other words, a doctor cannot recommend cannabis to a patient and open a dispensary. The recommendations need to be free from financial gain from any further patient transactions once the patient leaves the office. Additionally, the doctor is facing higher scrutiny on record keeping, and is required to actually see the patient and assess the medical condition of the patient before recommending cannabis. 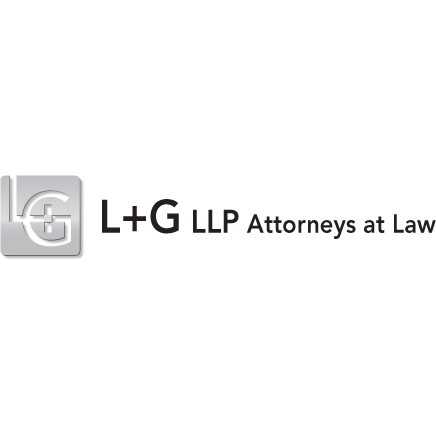 L+G, LLP Attorneys at Law is a full service agriculture and business law firm with experience deeply rooted in the cannabis industry representing cultivators, manufacturers, dispensaries, nurseries, and transporters of cannabis in California.